← Will It Make the Boat Go Faster? One of the marvels of modern aviation transportation is the autopilot which on a long distance flight effectively and safely guides the jumbo jet directly to the proper airport and puts in on course for the designated runway landing. This has been of great benefit to long distance travel since the pilots can relax during most of the trip, thus remaining fresh and alert for the important process of landing and manoeuvring around weather patterns. The autopilot process is actually a special relationship between two instruments, the Autopilot, which controls the speed, altitude and direction of the airplane, and the Inertial Navigation System, which is like a GPS and communicates constantly with the Autopilot about the exact location, speed, altitude and other key bits of information. These two, we can call them George and Harry, are in constant communication as they fly the plane along its preset course. This “special relationship” is actually a very sophisticated form of two-way feedback. Here’s how this “special relationship” works. Harry (the INS) tells George (the Autopilot) the plane is a little slow and needs to speed up. George says “thank you” and makes the corrections. Harry then tells George his needs to increase his altitude. George again says “thank you” and makes the altitude adjustment. Harry then tells George they have reached a point where the plane must make a course change. George says “thank you” and adjusts the compass bearing. All through the long flight George and Harry are in constant communication and as a result they reach the designated airport safely and effectively. Now, let’s imagine George and Harry were two senior executives, each responsible for a different department. Harry tells George he needs to speed up. George, somewhat incensed that a “peer” is telling him how to run his area, grudgingly complies. Harry then tells George he is too low and to increase the altitude. George snaps back that Harry should mind his own business. Harry tells George about the upcoming course correction and at this point George stomps off muttering something about how he doesn’t have to be told how to run things. Before long Harry and George are not speaking to one another. Or worse, they are both talking to a third executive about each other’s nosy behavior. I wouldn’t want to fly on that plane. And I wouldn’t want to work in that company either. 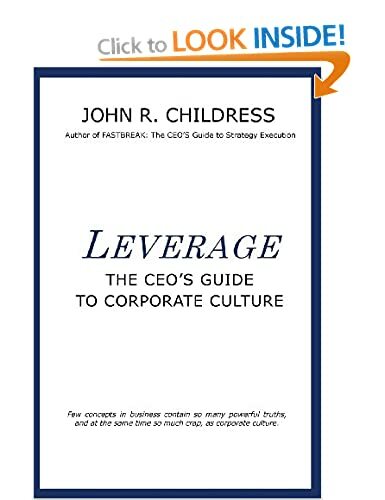 But because most business executives don’t appreciate and understand the value of continual constructive feedback (they mistake it for “criticism”), too often meetings are filled with “hidden agendas”, defensiveness to outside ideas or input, hurt feelings and in a few instances, Vice Presidents not talking to each other. A good friend of mine used to say: “Feedback is the Breakfast of Champions”. 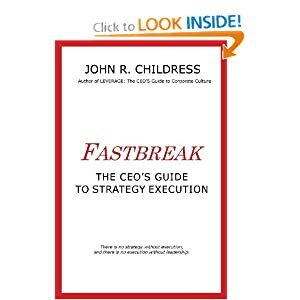 No business decision, no project plan, no strategy is ever perfect the first time. As they begin to be implemented they all run into either external change or unexpected obstacles. The most important ingredient in keeping your plans and strategies (and your airplane) on course is constant feedback. In our leadership alignment and strategy execution work we often spend a considerable amount of time on practicing the skills of giving and receiving real-time, appreciative and constructive feedback in order to keep things moving forward and to avoid project roadblocks. If your senior team is not hitting the bullseye, take a look at the amount of feedback passed around and how people respond to direct feedback. In my business experience, teams comfortable with frequent, real-time, information rich feedback outperform those who focus on their individual functions and keep others (and new ideas) out. I’ll fly with George and Harry anytime! This entry was posted in consulting, corporate culture, Human Psychology, leadership, Organization Behavior, Psychology, strategy execution and tagged autopilot, communications, Constructive Feedback, department silos, feedback, George Bernard Shaw, hidden agenda, INS, special relationship, Trust. Bookmark the permalink. 1 Response to George and Harry Take a Trip . . .